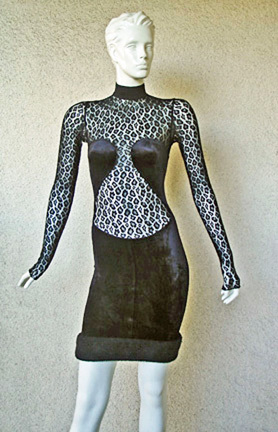 Circa 1991-1992 Autumn/Winter collection by Azzedine Alaia. 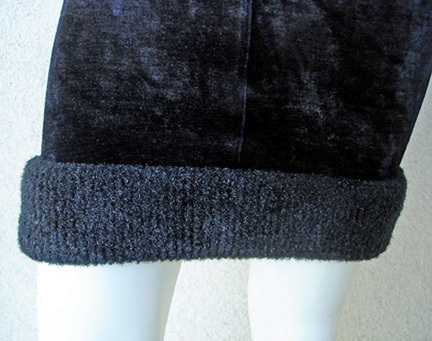 "The King of Kling" designed a collection of black lace, velvet and faux fur. 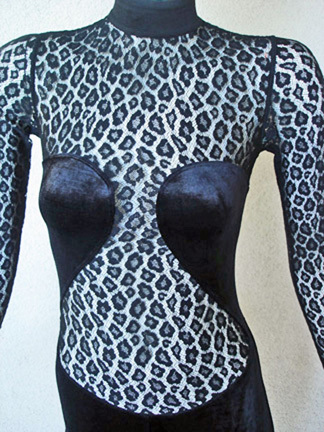 The collection designed to mimic a leopard print pattern through the use of lace in bodysuits and body hugging dresses and finished in faux fur trim. 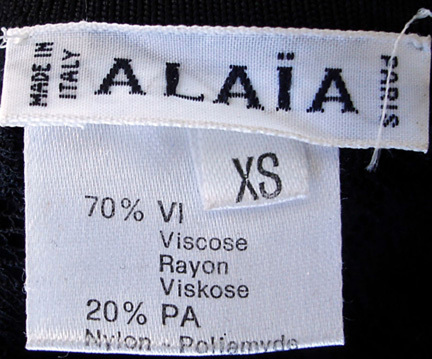 The Collection seen in the Alaia book by Francois Baudot(see photo). 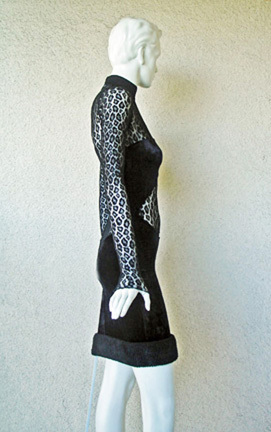 Pieces from this collection are in some permanent museum collections.